A photo copyright release form is a document which is used by organizations, institutions, and photographers in order to record the approved consent of an individual towards the use of photographs were his images are included or can be seen. In addition, the release form will also indicate the understanding of the client or individual to the need of the photographer in distributing and displaying the photographs for promotional advertising or personal needs. Moreover, in order to bind the client and the photographer, both parties must disclose their names and affix their signatures into the release form. Photo Exhibit Copyright Release Form – Photo exhibits or exhibitions are events where photographers and artists come together to showcase their masterpiece. These exhibits are often held inside galleries and event spaces where the masterpieces or photographs will be displayed. 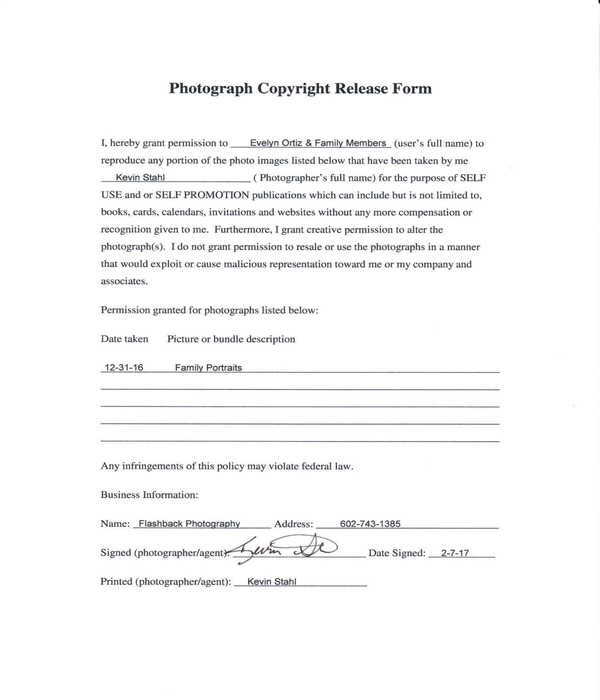 However, before a photographer and an artist can place their works in the gallery, they must first sign a photo exhibit copyright release form. Specifically, a photo exhibit copyright release form is a document which indicates the certification of the photographer or the participant of the exhibit that he is the sole owner of the work that he submitted. In addition, the form also states the approval of the photographer towards the actions of the exhibiting organization in using his work for promoting the event. The photographer’s consent for the organization’s royalty-free and irrevocable license to use his work will be included as well. And lastly, in order to complete the form, the photographer should state his name, electronic signature, email address, and contact information. 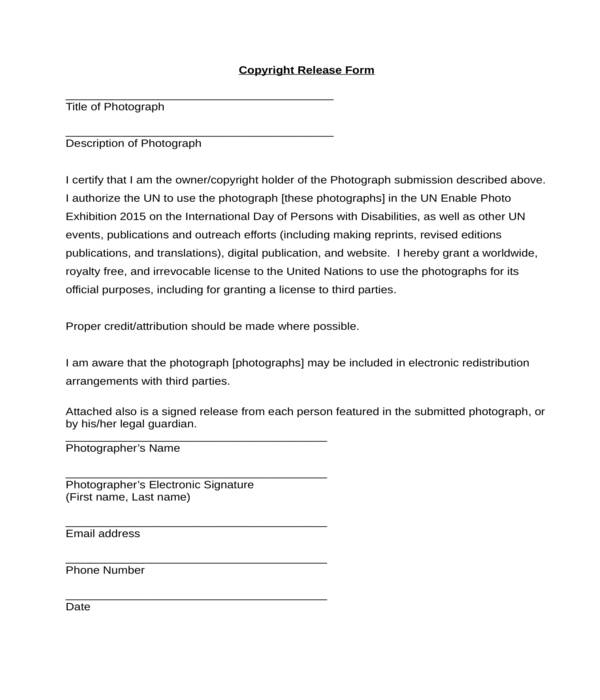 Photography Copyright Release Notice Form – This type of photo copyright release form is not to be filled out by any individual since it is only a notice to the photographers of an educational institution and organization. In this notice form, the organization informs the users of the organization’s website about their rights and printing privileges to any image or photo displayed on the site. Moreover, the contact information and the residential and electronic mailing addresses of the organization are also included in the photography copyright release notice form. 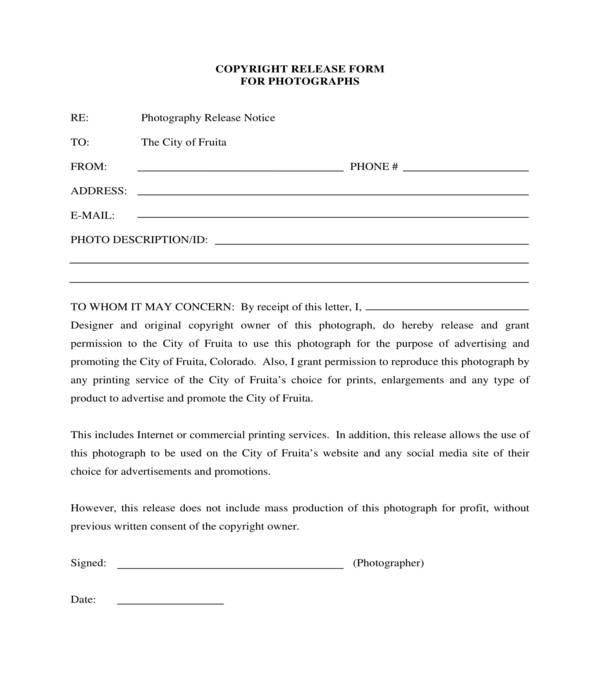 Photo, Media and Copyright Release Form – Compared to the aforementioned forms, this form type is not only for releasing photograph copyrights but also for other forms of media recordings such as videos and audio recordings. Basically, the form is comprised of four sections. The first section is for indicating the date and the name of the event or the program to be attended by the participant wherein possible recordings will be created. 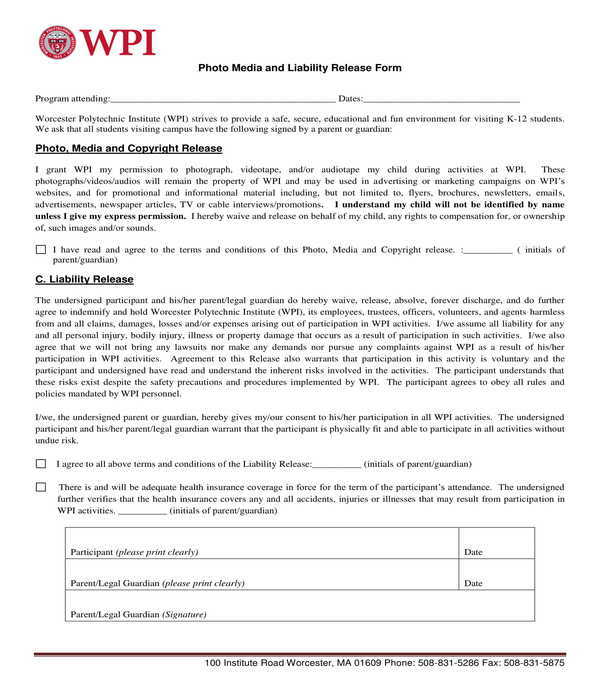 In the second section of the form, a statement for the photo, media, and copyright release will be incorporated to explain the intents and terms to be agreed by the participant while the third section defines the liability release. In addition, the last section of the form is where the signature block is indicated for the signatures of both the participant and his legal guardian. 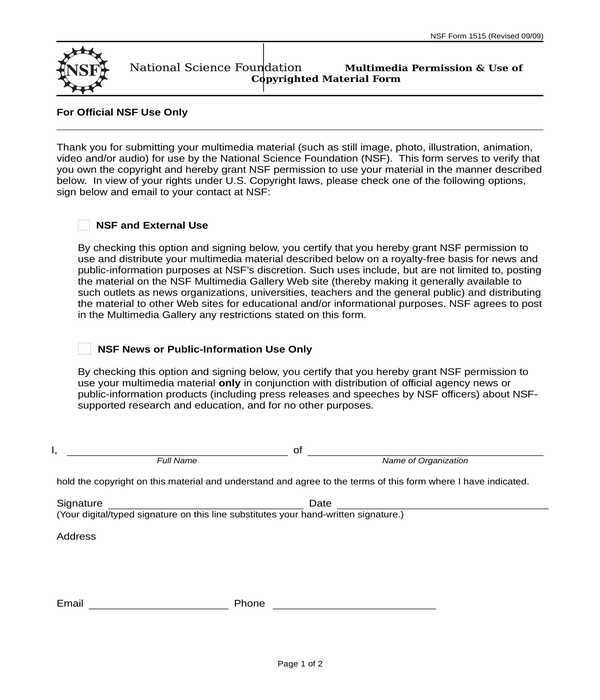 Photo Submission and Copyright Release Form – If a photograph or any multimedia material will be submitted to an organization, not for exhibition purposes rather for other publication intents, then a photo submission and copyright release form must be used. This type of release form contains four sections wherein the first section is for the introduction statement of the organization. The second, third, and fourth sections, on the other hand, are for the decision of the material owner, his signature, and the general information of the material to be submitted to the organization. Keep it simple: The format and layout of the release form should be simple and formal ranging from its design elements up to the arrangement of the contents. In addition, lines which will be used for as placeholders for the data entries of the user of the form should be enough to cater to the minimum number of letters or characters for the data. Enlist and define: It is important that the terms in the release form are well-defined. And if there is a need to enlist the definition of each word or phrase to be used in the form, each word must be enlisted along with their definitions to make sure that the involved parties have a general and common understanding to what each word means. Include the contact details of the involved parties: Most often, it is the contact details of the photographer and the organization which will be disclosed in the form, however, the contact information of the client can also be collected as well. The reason for documenting the client’s contact information is to have a record of the client’s work and personal phone numbers especially for inquiries and clarifications about the photos. 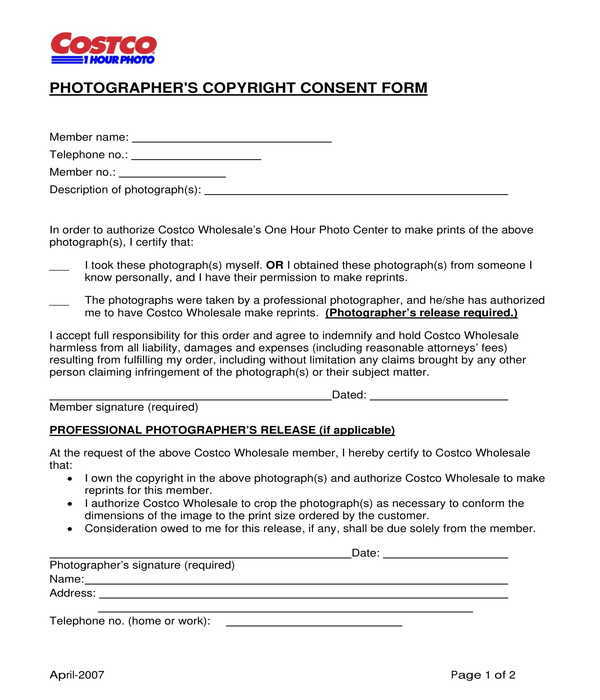 Why is a photo copyright release form important? 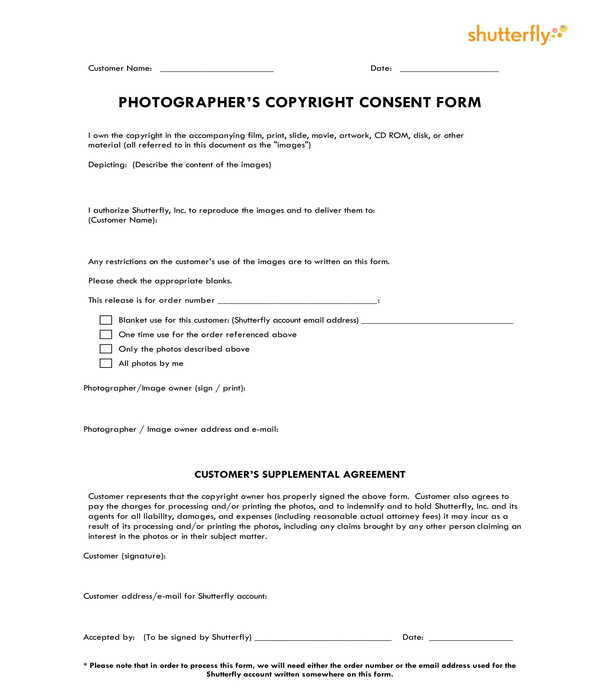 A photo copyright release form is important because it is a document which contains what the agreed terms, conditions, limitations, and restrictions are for both the photographer and the client who is being photographed. The form also details the permitted methods or actions when using the photographs as well as the financial obligations of neither parties. How long should the term of a photo copyright release form be? Generally, copyright protections last a lifetime or for as long as the image or the photo is made available for anyone to use. However, different States and countries will have their own copyright protection acts and laws which is why it is essential to know the laws first before using or filling out the release form. When filling out a photo copyright release form, the client or the person who is present in the image as well as the person who will be using the image or photo must read the entire document. By understanding the terms and conditions or the rules and regulations defined in the release, the involved parties will be able to have a successful agreement and will be able to inform one another regarding possible changes and updates in the release for a greater benefit.